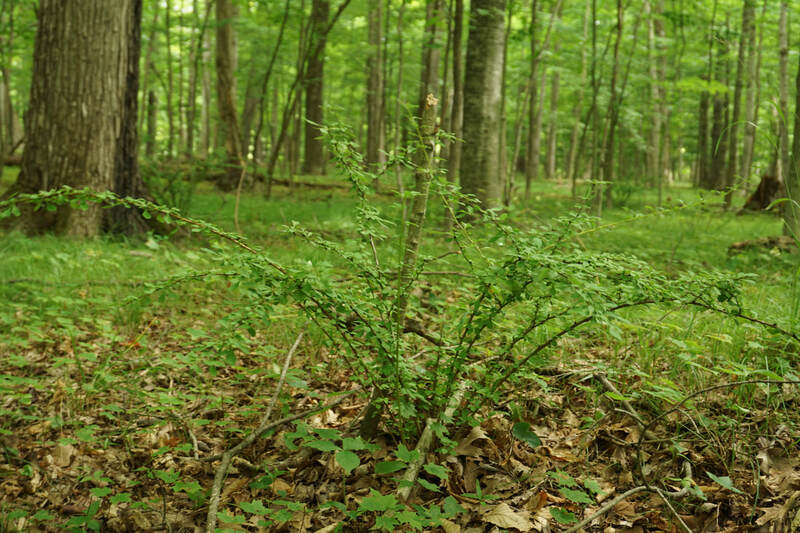 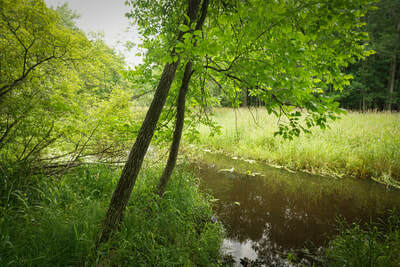 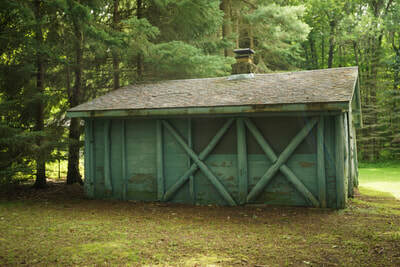 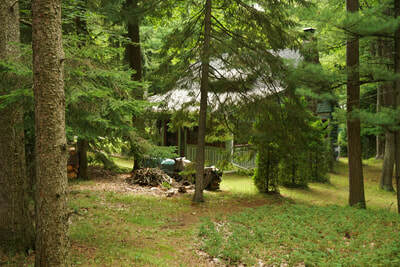 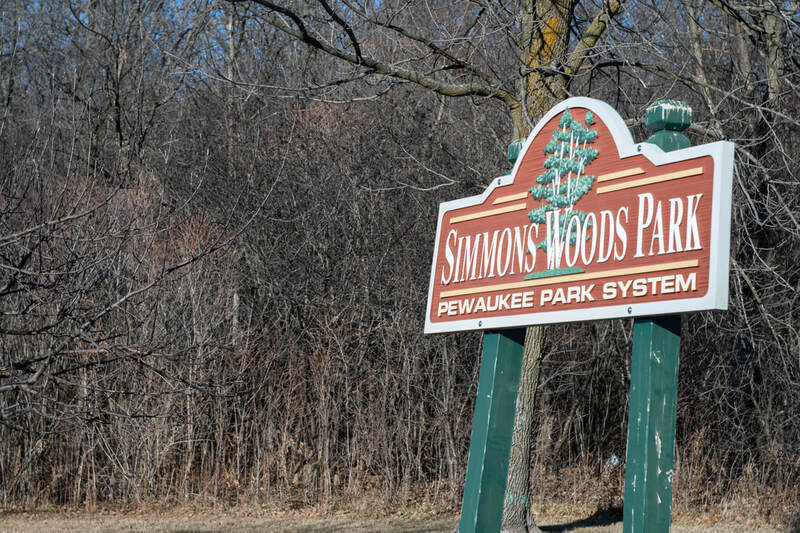 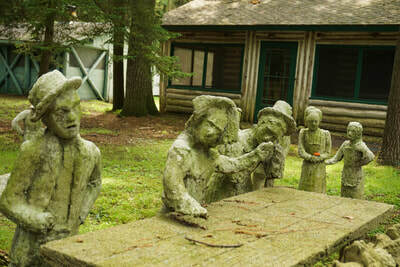 I'm always amazed at what secret treasures abound in Wisconsin. 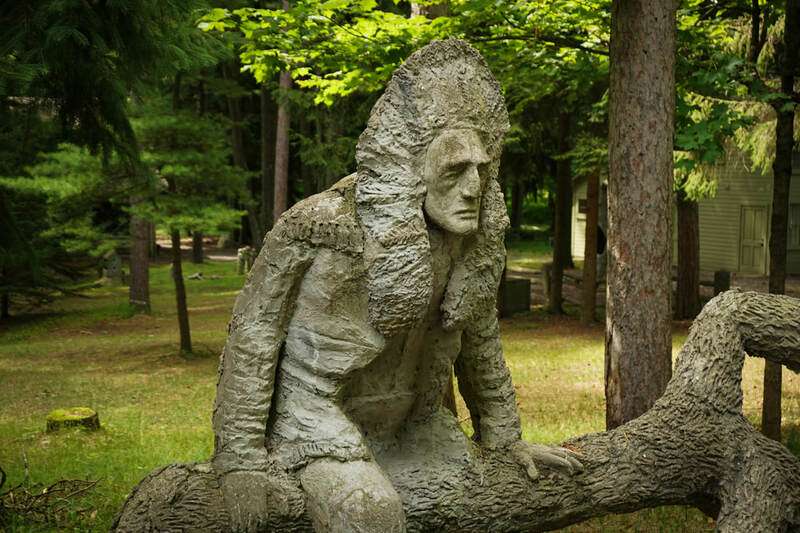 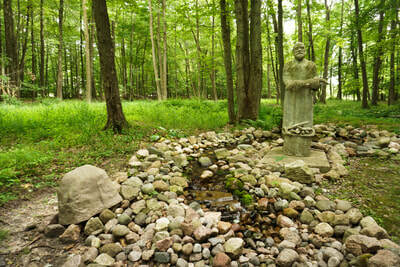 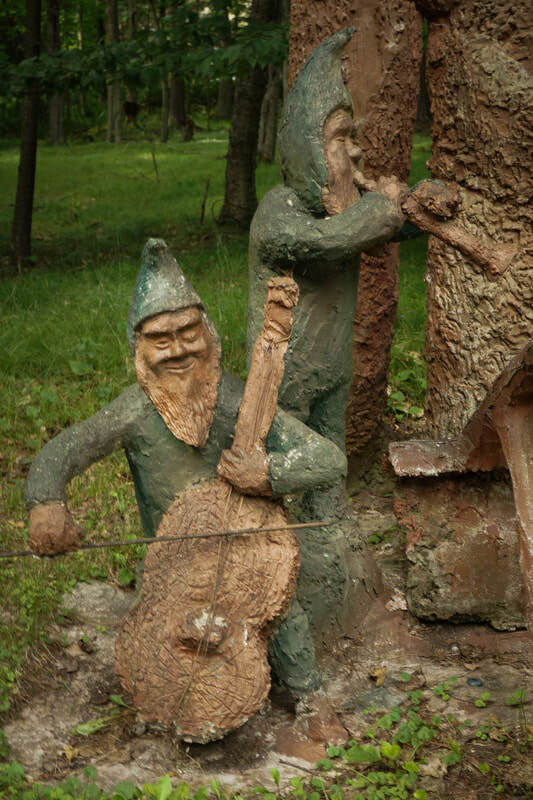 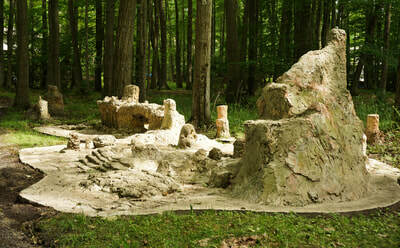 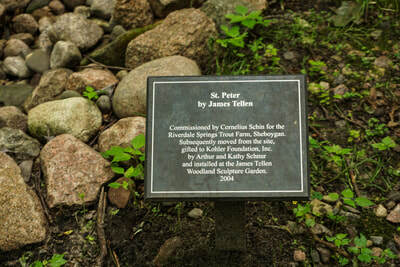 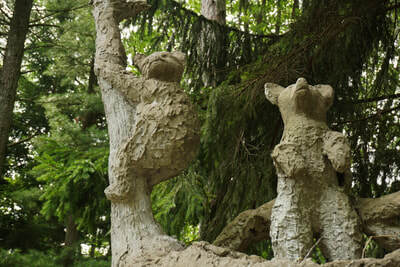 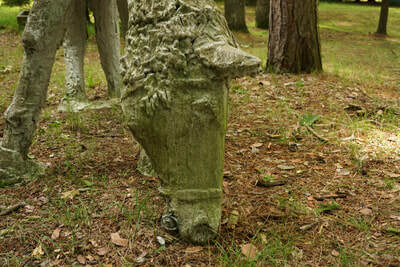 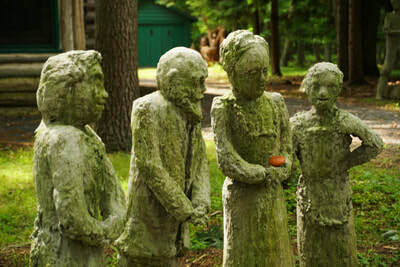 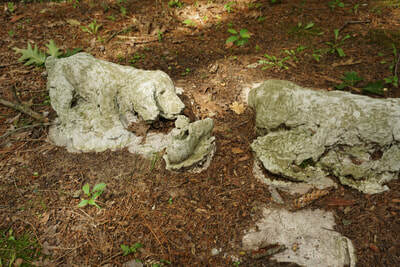 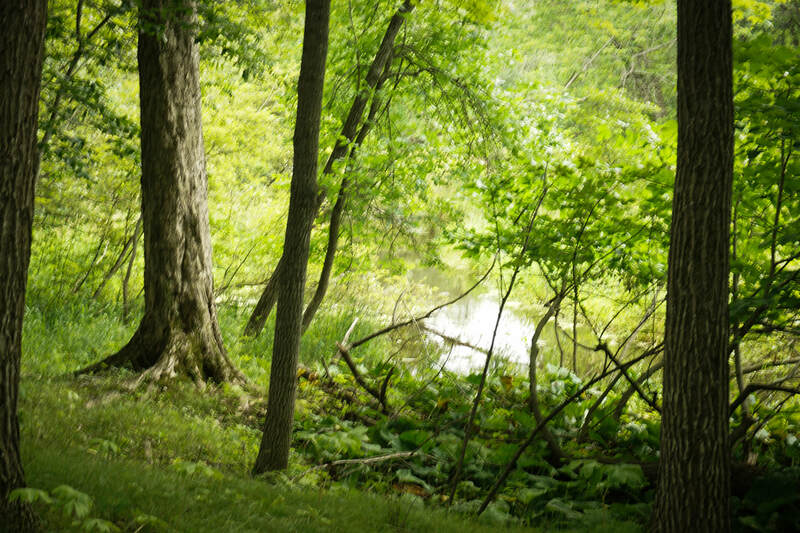 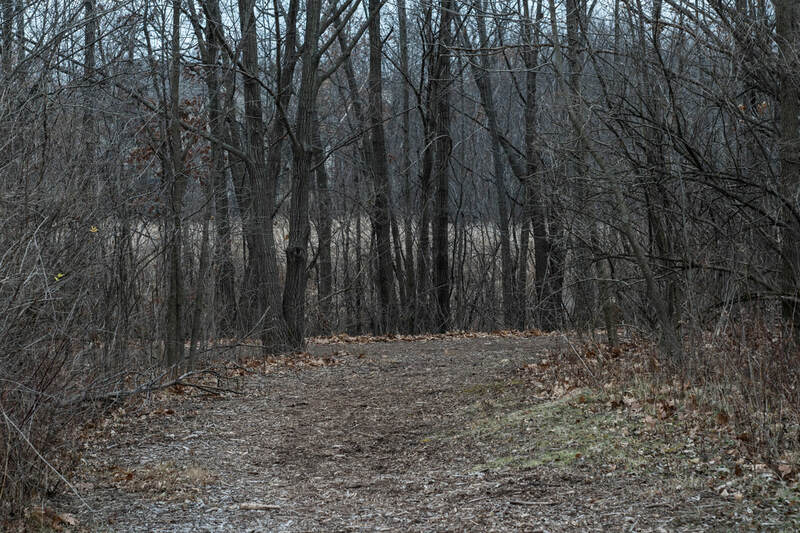 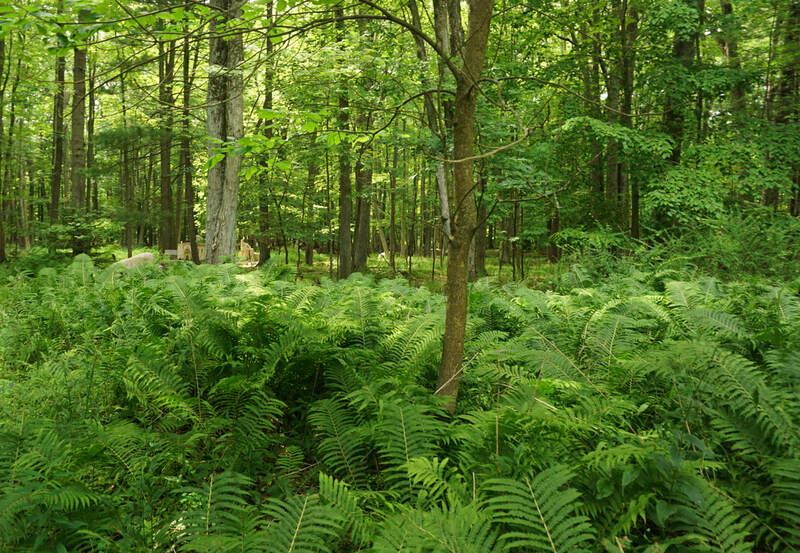 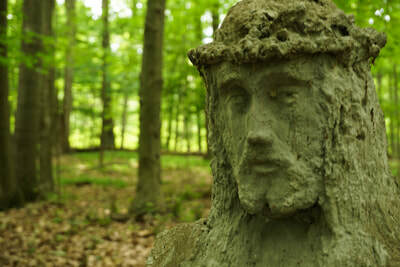 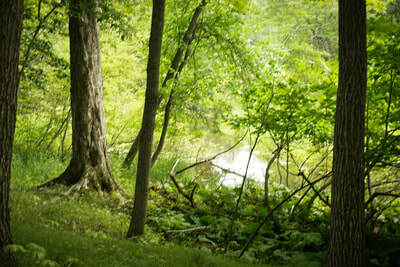 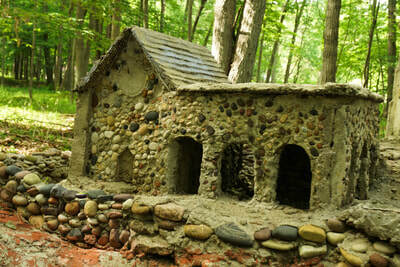 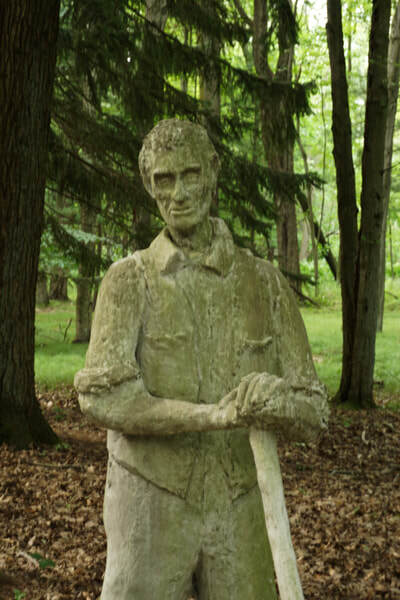 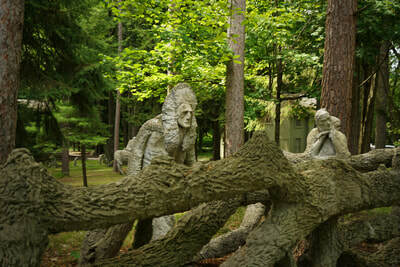 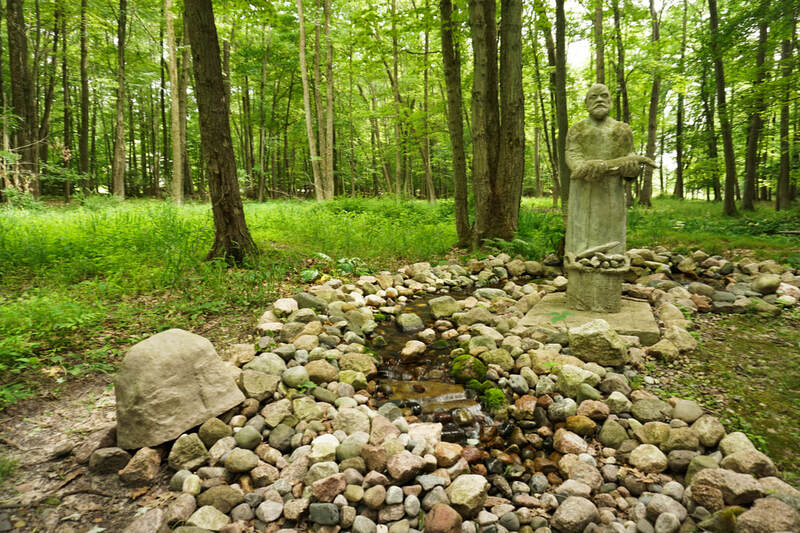 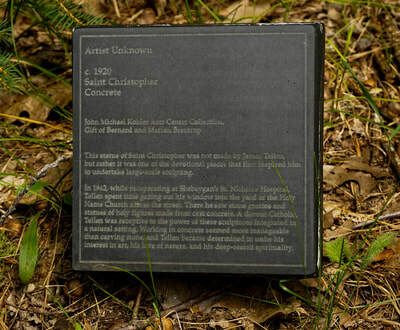 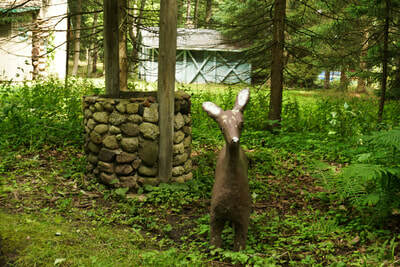 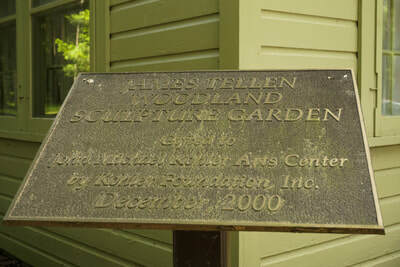 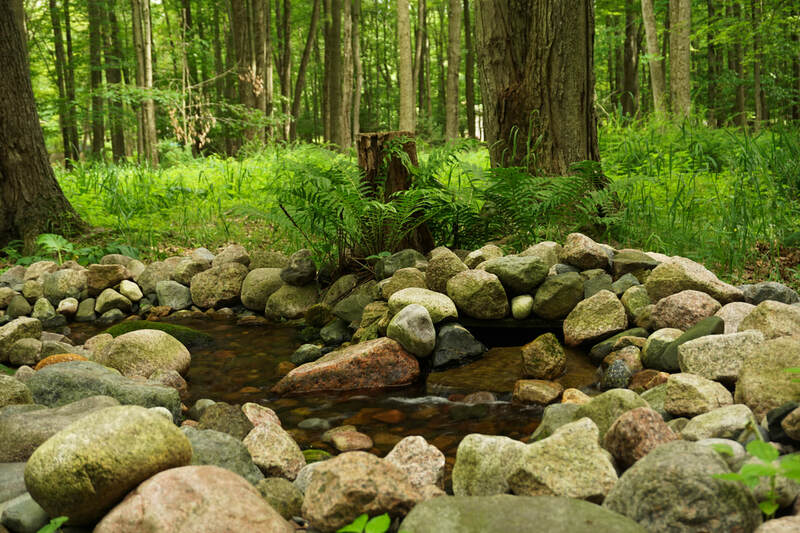 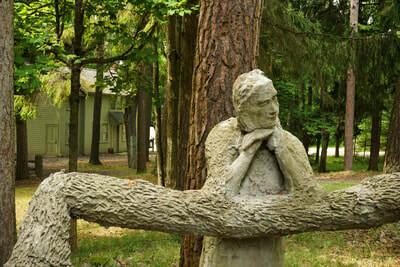 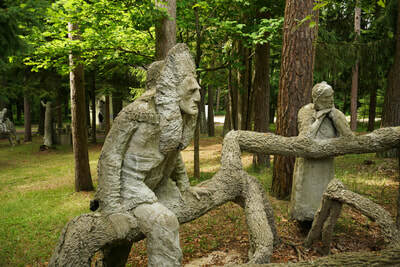 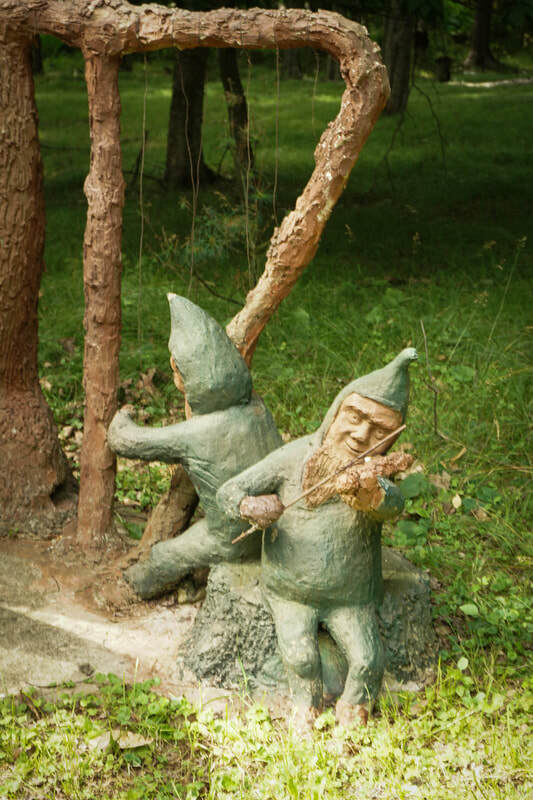 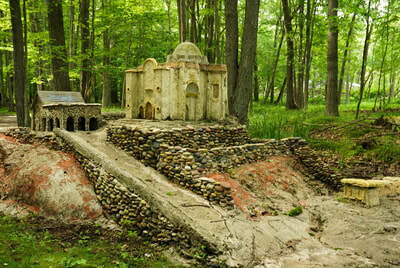 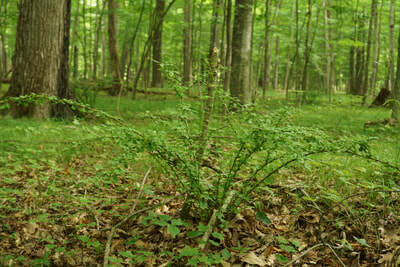 I recently paid a visit to the James Tellen Woodland Sculpture Garden just south of Sheboygan. 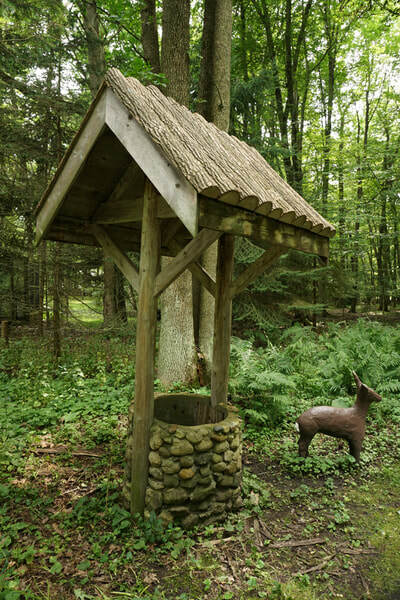 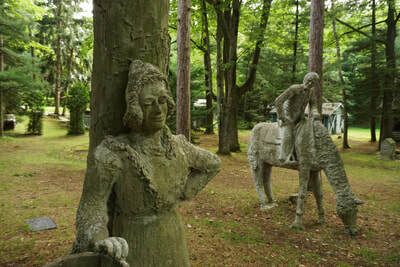 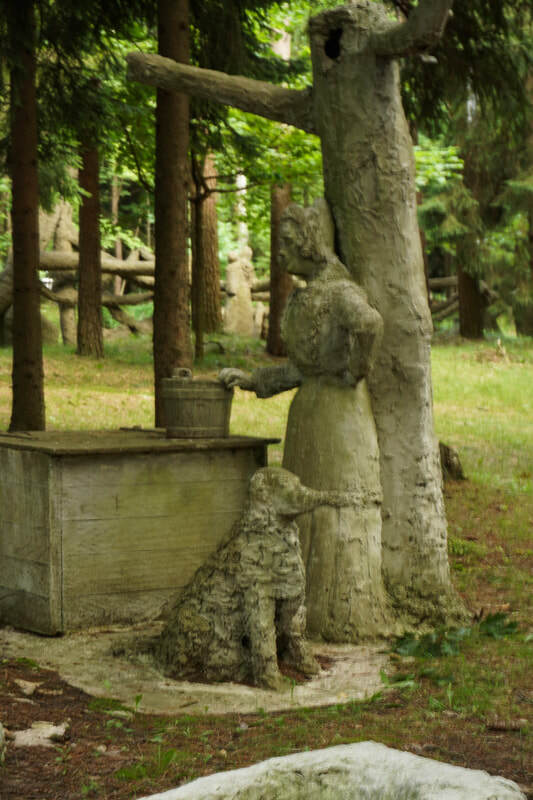 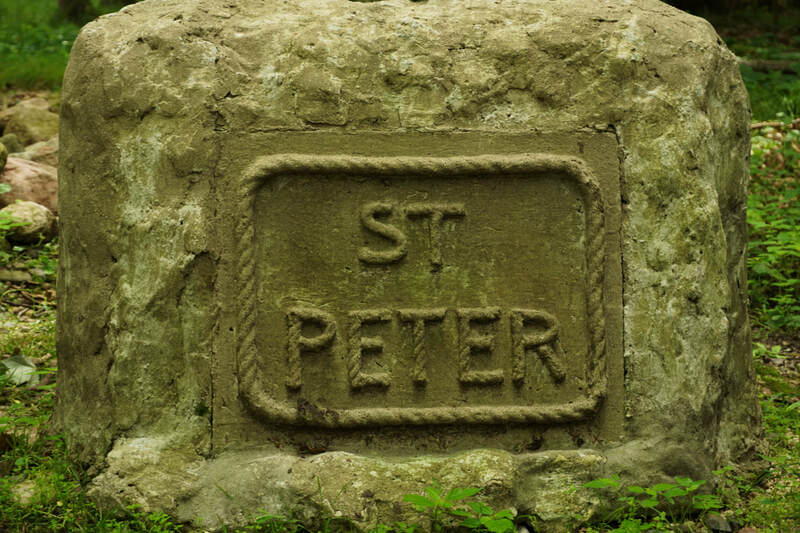 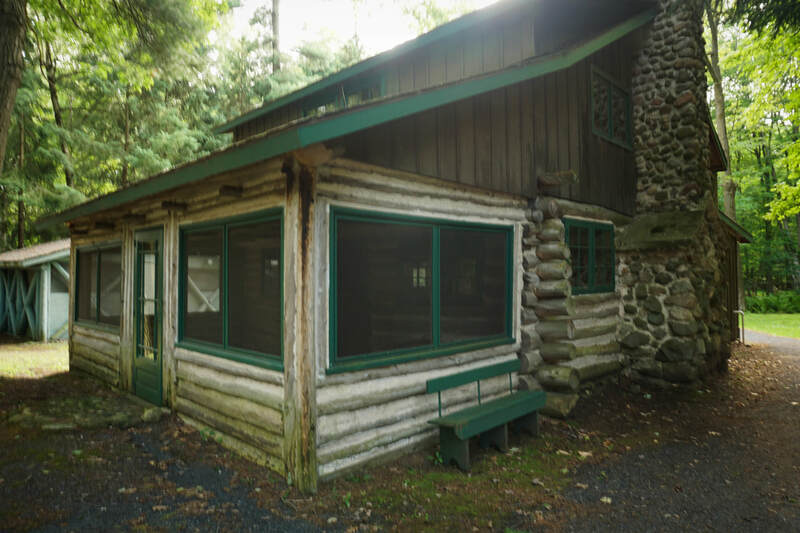 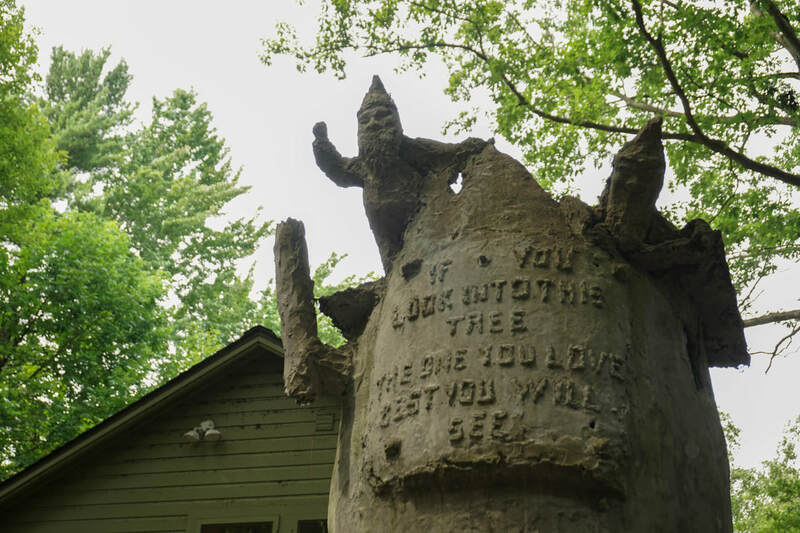 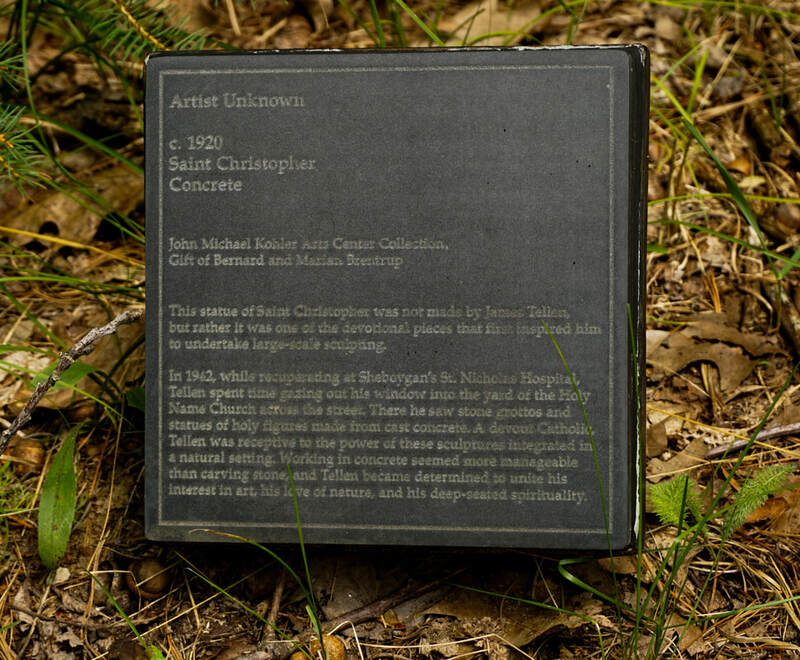 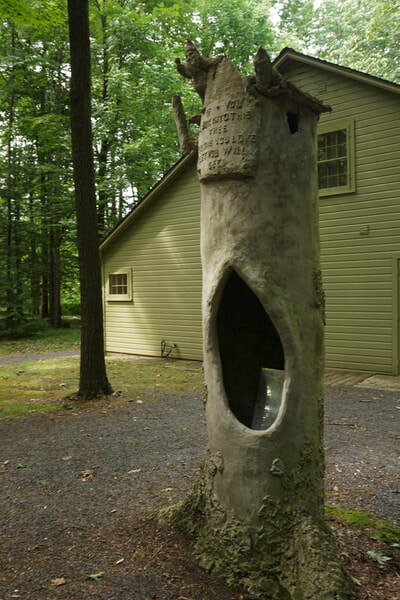 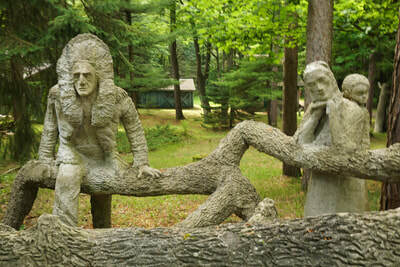 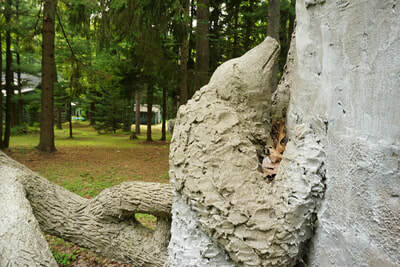 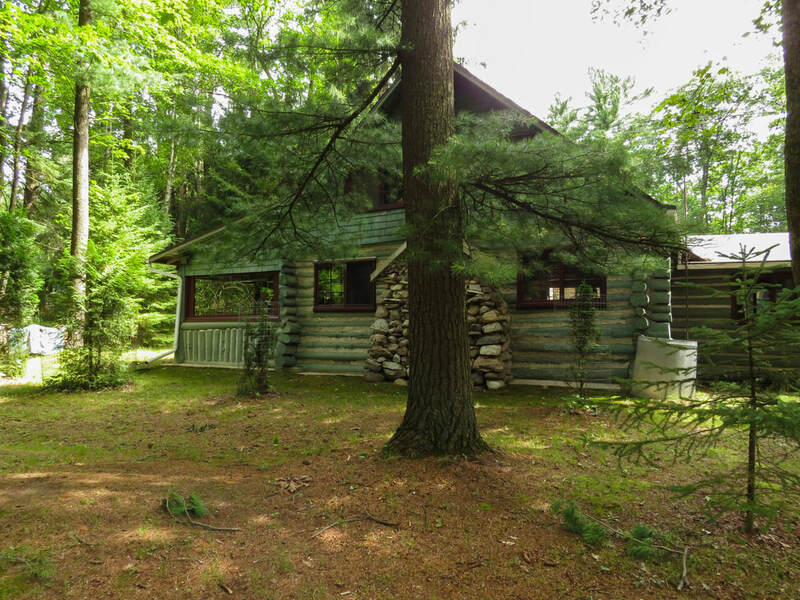 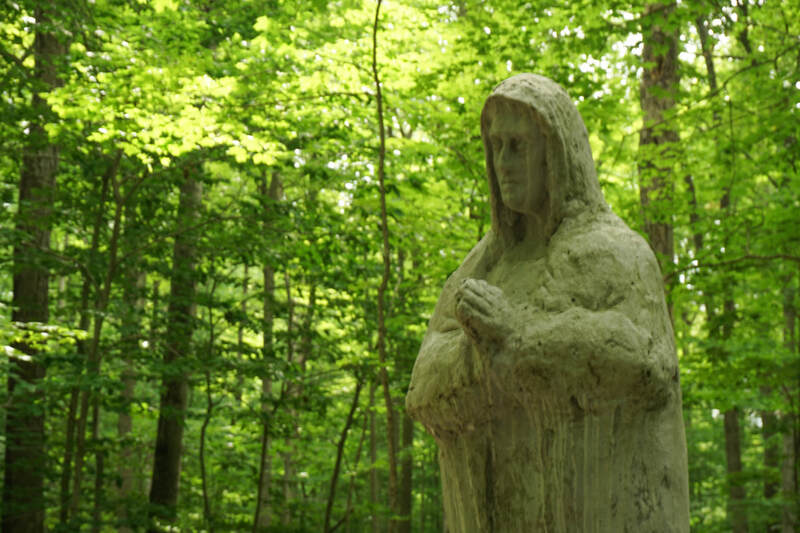 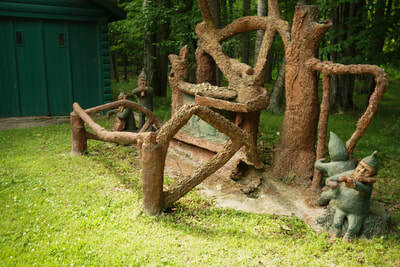 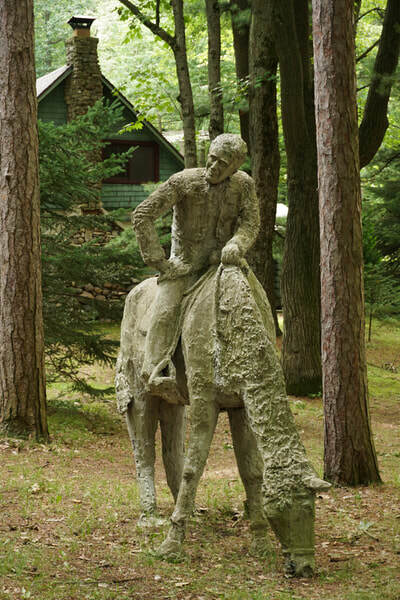 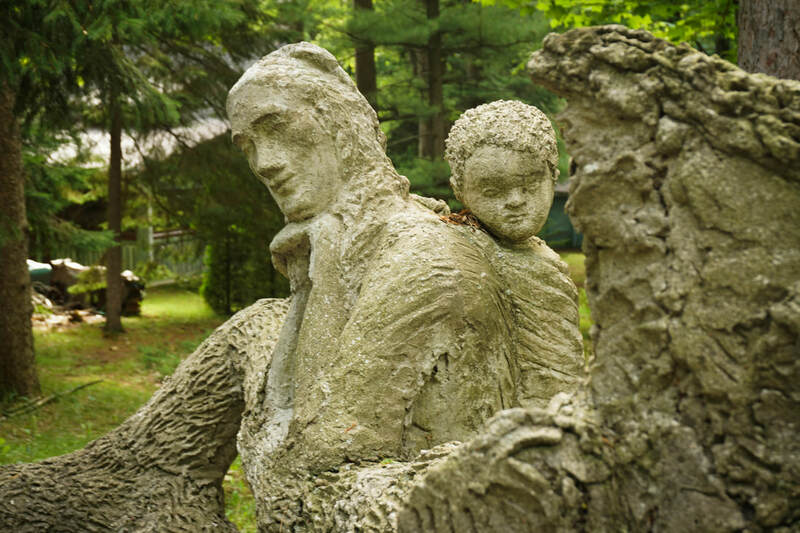 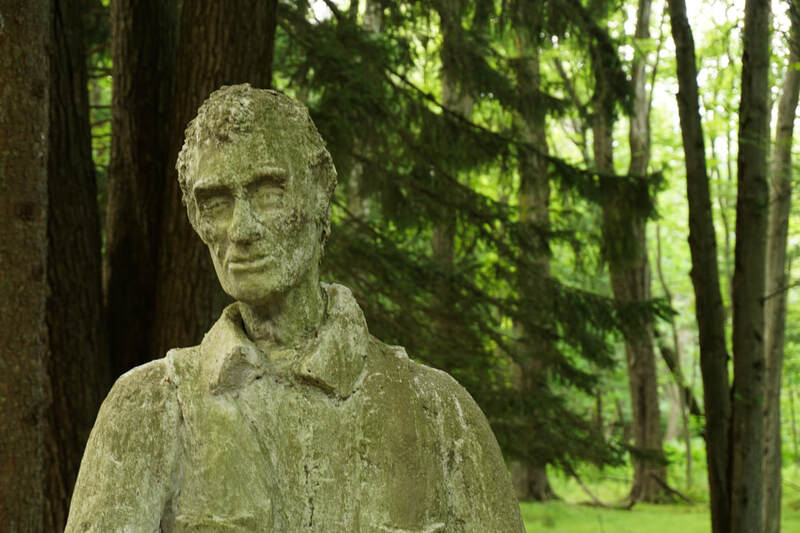 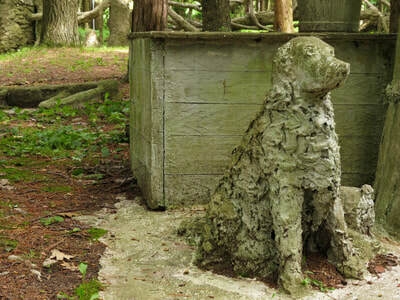 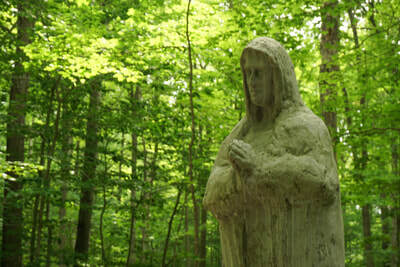 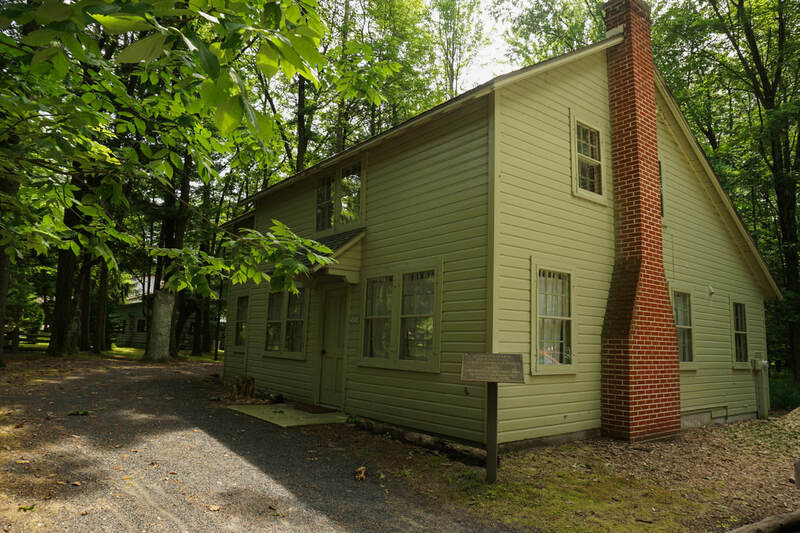 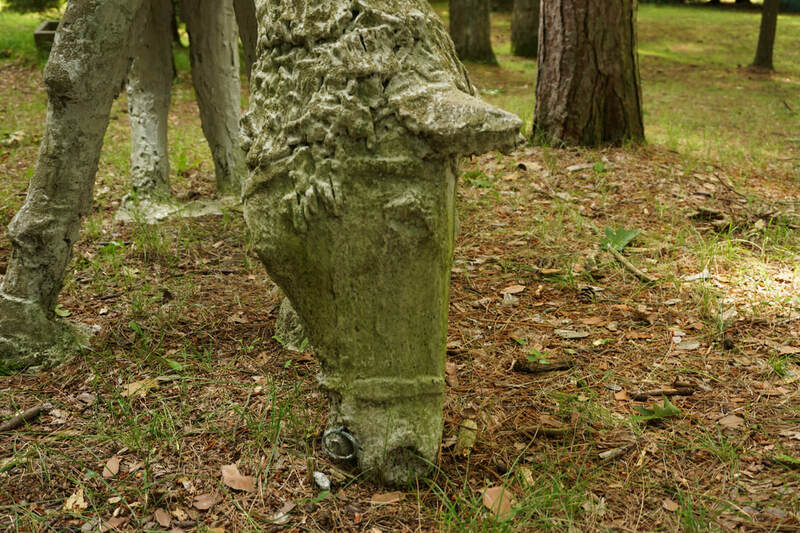 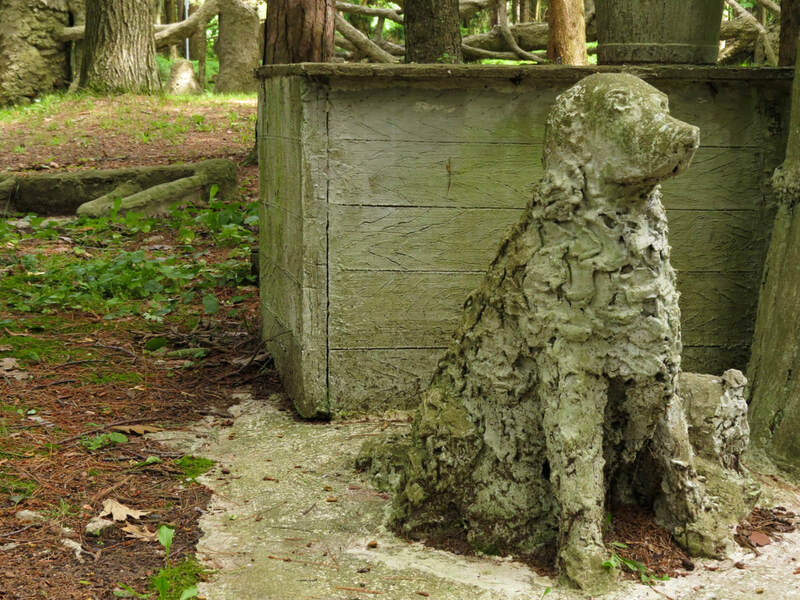 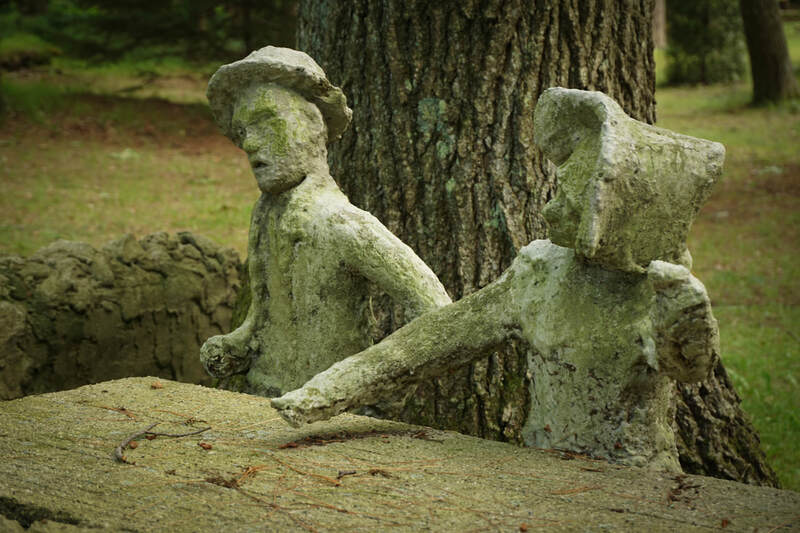 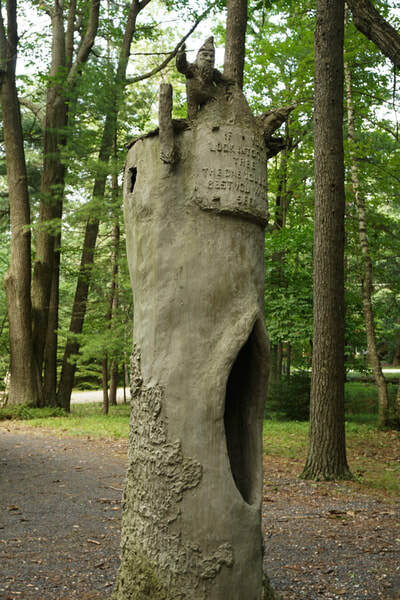 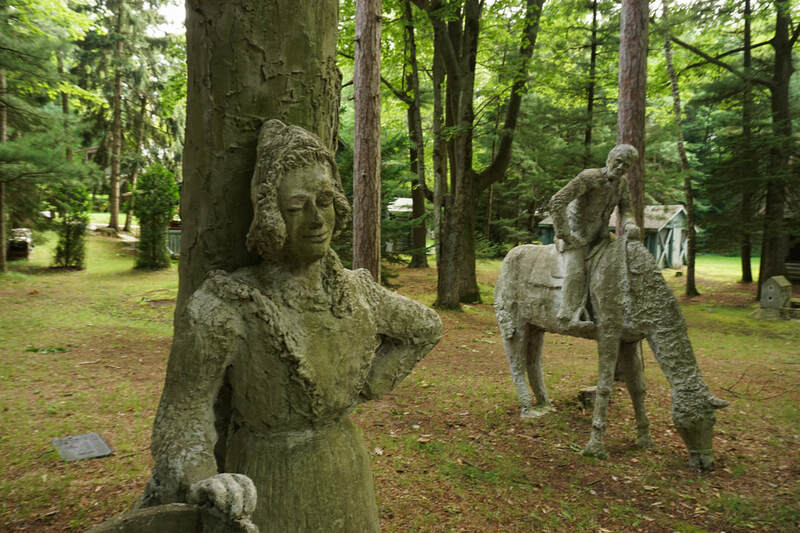 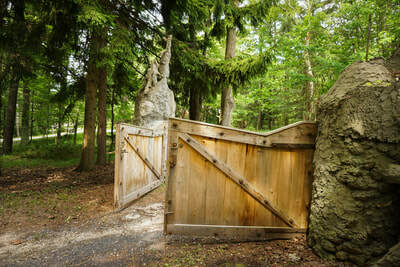 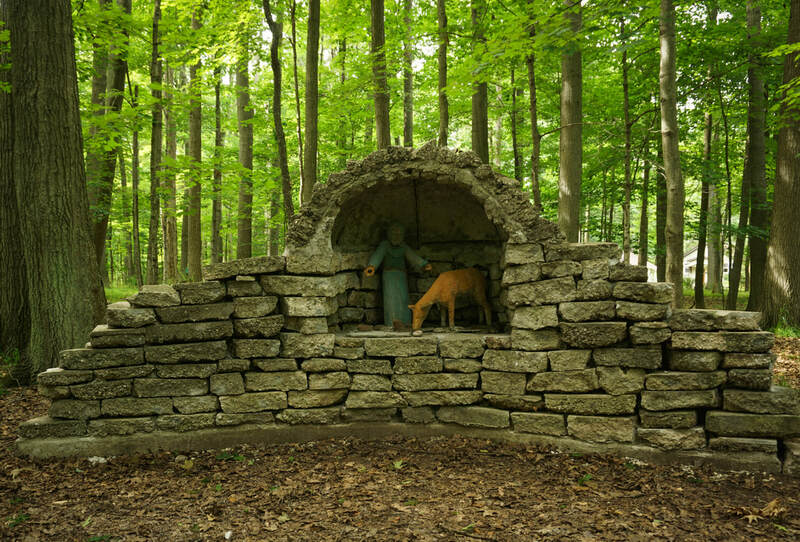 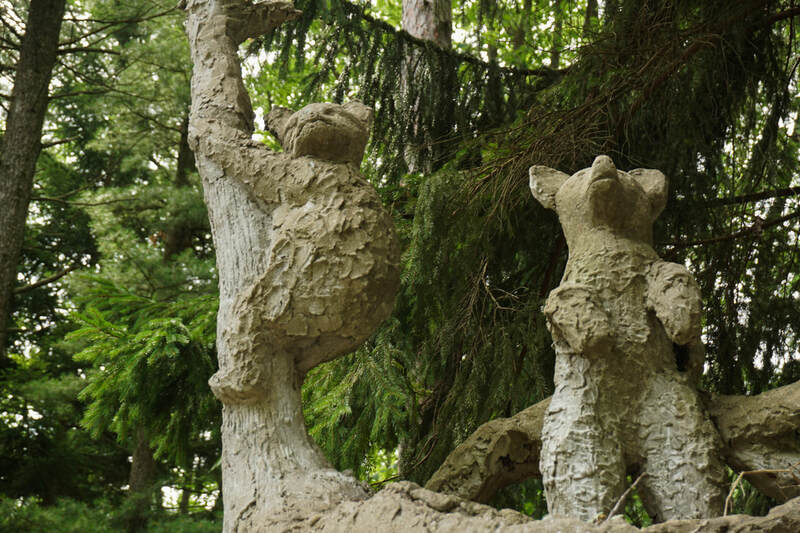 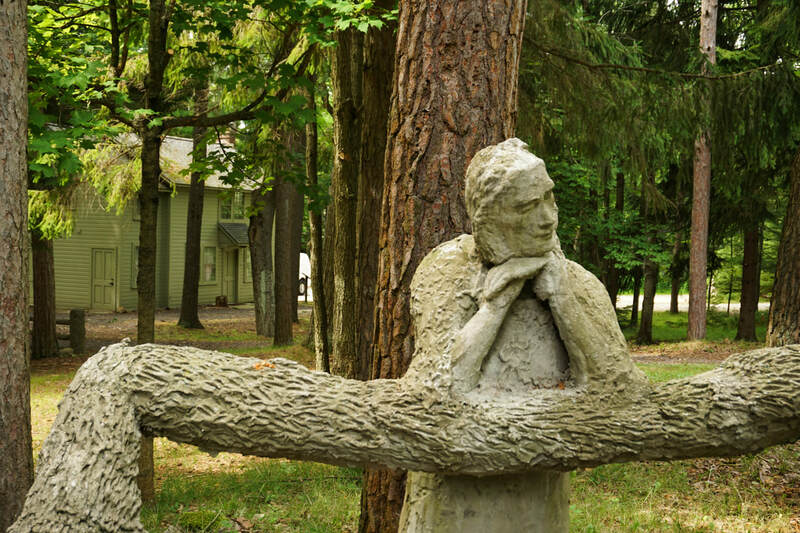 Nestled among a woodland path on James Tellen's log cabin property, are 15 unique, and meticulously crafted concrete sculptures. 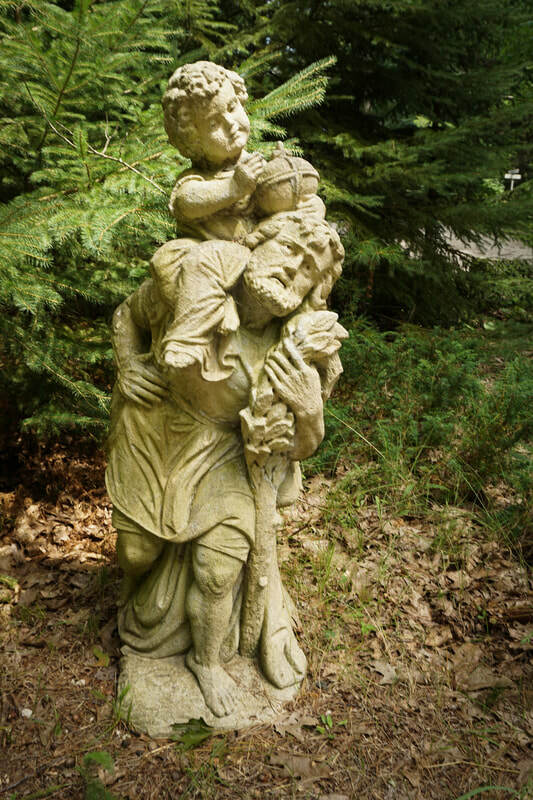 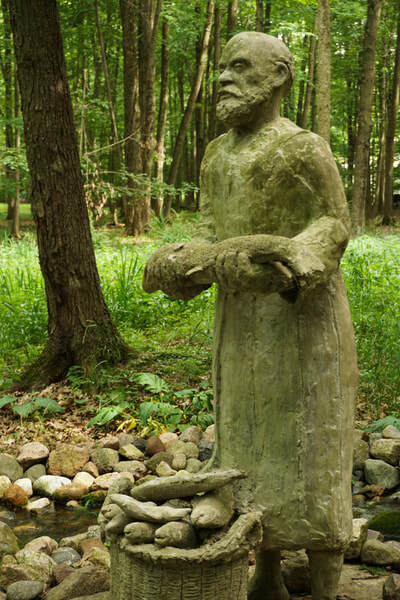 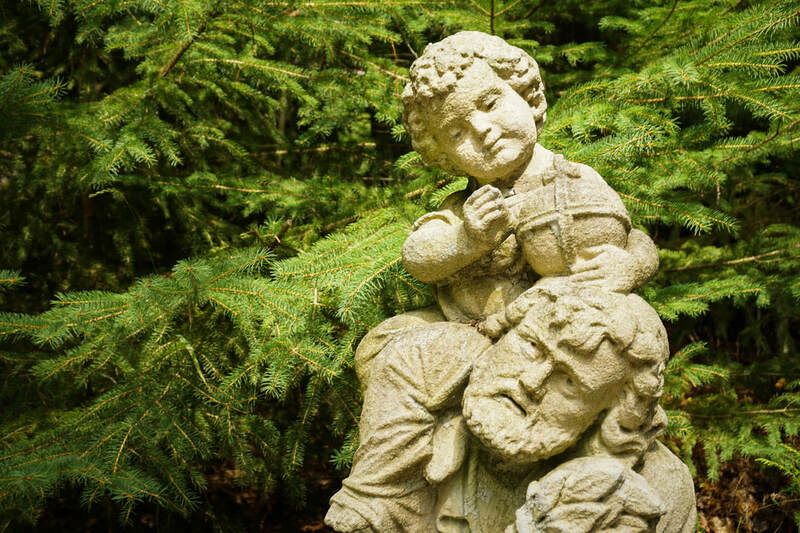 Near the entrance to the garden is a sculpture of St. Christopher, carrying a small child (c. 1920). 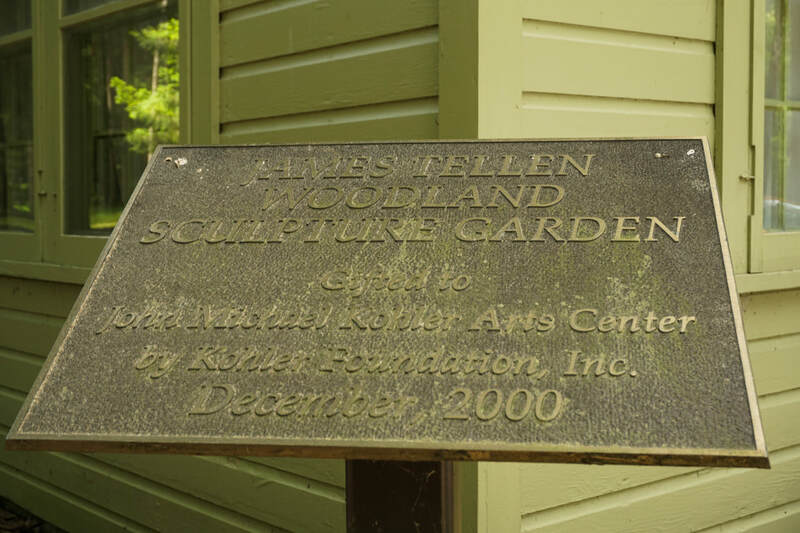 This is reportedly one of the pieces that inspired James Tellen to embark on an artistic journey of creating concrete sculptures. 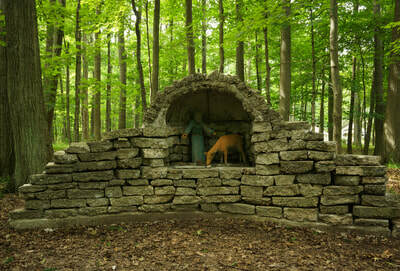 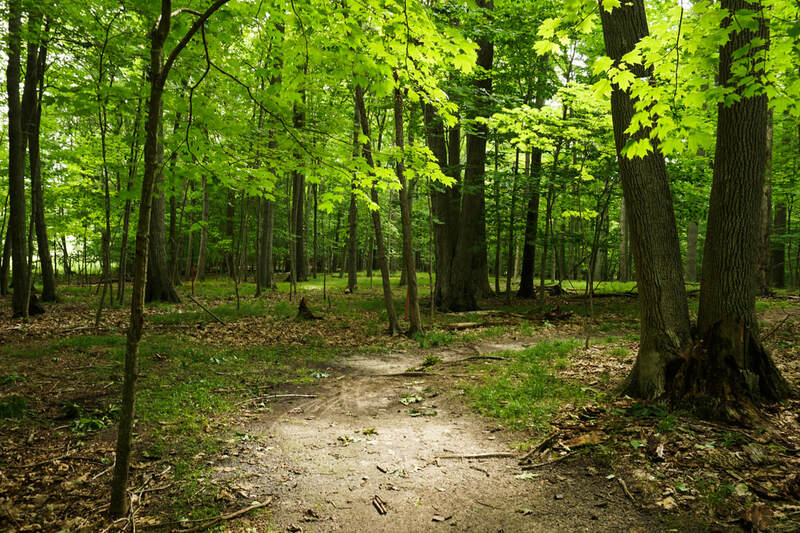 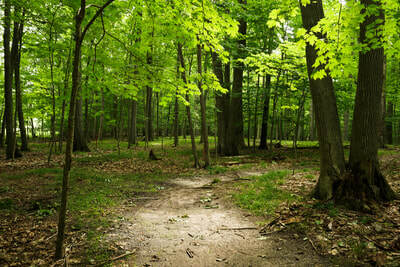 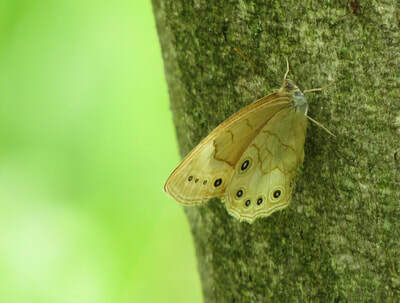 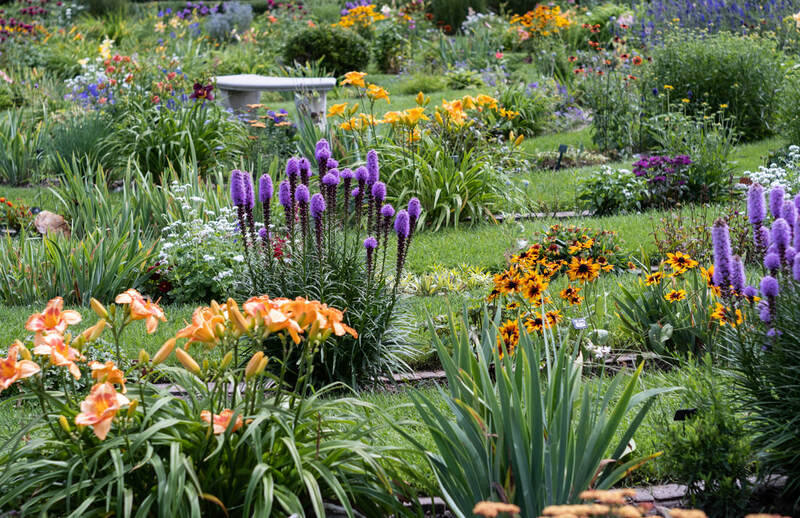 A variety of scenes are depicted - biblical, natural, social. 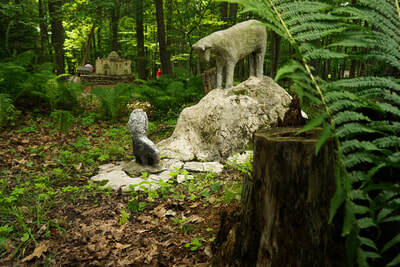 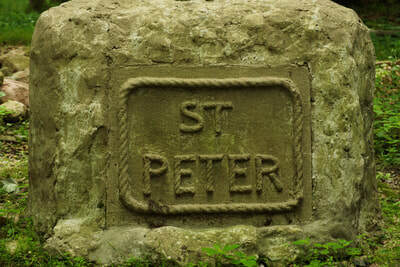 Some of the sculptures are in miniature, others life-size. 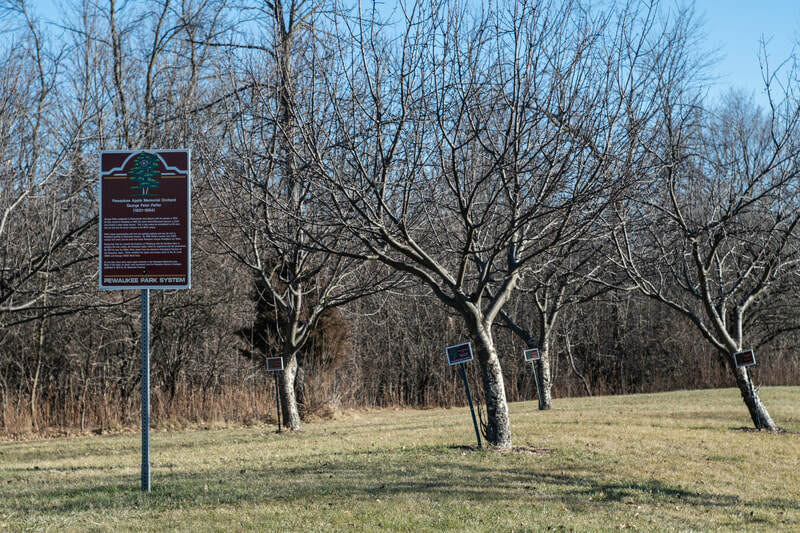 One sculpture is a 65-foot "wooden" fence. I can't even imagine how much time it must have taken to carve the bark-like textures into this fence. Fortunately, I don't have to imagine what it looks like. 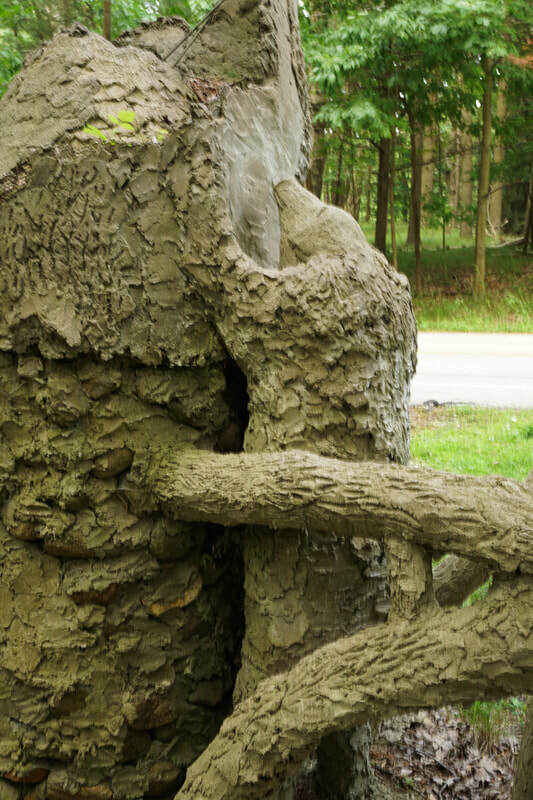 It's there for all to see.